Do you say merry or happy Christmas or both? Are you comfortable with Xmas or do you prefer ‘holiday’? As we approach the festive season, here are some explanations for these differences, some of which are, I’m afraid, political. 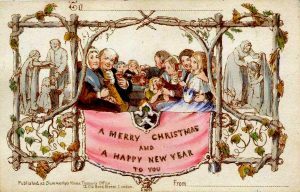 First to merry or happy: you’ll note that both are used on this Christmas card, the very first, designed by John Horsley and sent out by Sir Henry Cole, Assistant Keeper at the UK’s Public Record Office, in 1843. A clever animation from Mental Floss suggests that ‘merry’ is more about behaviours (imbibing in particular), while ‘happy’ is a feeling. It also thinks ‘merry’ more American, and ‘happy’ more English, though Dickens used ‘merry’ in A Christmas Carol and so do many Brits today. As for Xmas, do you know where the ‘x’ comes from? In Greek, the word Christos begins with the letter ‘X’ or chi. Here’s what it looks like: Χριστός. This is where the politics start: Franklin Graham, the son of the evangelist Billy Graham, has said the abbreviation is ‘taking Christ out of Christmas’. The etymology suggests otherwise. And President Trump has claimed to have brought ‘Merry Christmas’ back to the White House this year. Trump doesn’t like ‘happy holidays’, seeing the term as a war on Christmas. 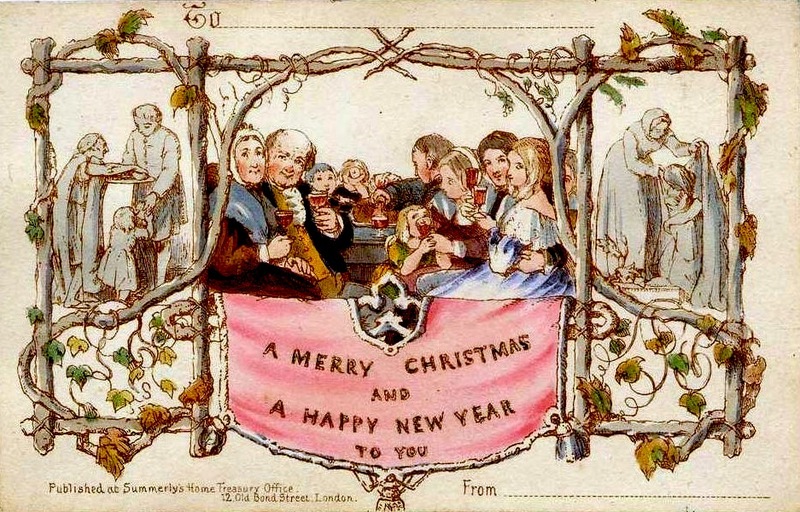 But, as The Atlantic Monthly pointed out last year, ‘ironically, it’s a Christian-friendly greeting at its root; “holiday” stems from the Old English for “holy day”’. My advice: put the semantics aside and embrace the best of the festive season but don’t forget that pesky apostrophe between the ‘n’ and the ‘s’ in Season’s Greetings!